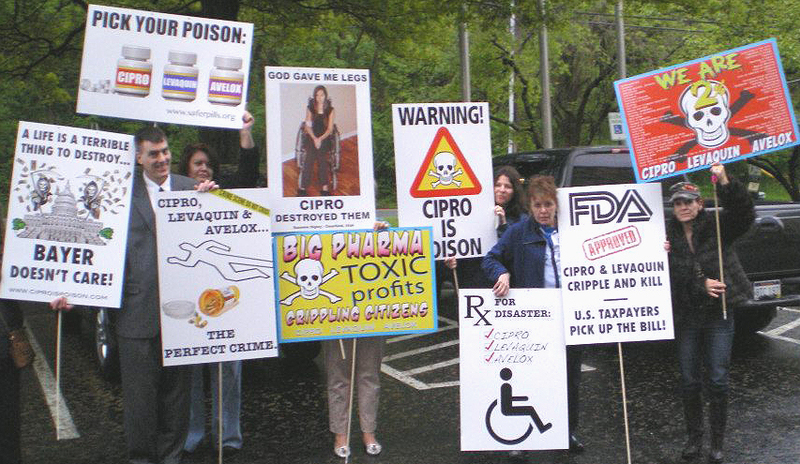 Cipro Poisoning: Have You Been Floxed? : Peripheral Neuropathy, from Cipro, Returned; Not Good! 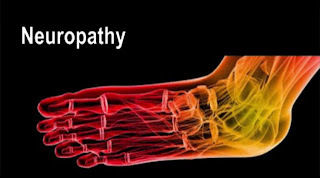 Peripheral Neuropathy, from Cipro, Returned; Not Good! As many of you may already know, four and a half years ago, I suffered severe side effects from an antibiotic, in the floroquinolone family, called Cipro. The first time it happened, I suffered a ruptured tendon. I did not correlate the ruptured tendon to the antibiotic, Cipro. Eleven months later, I was nearly crippled by the drug. I was given it a second time for a urinary tract infection; I took five pills and my body was destroyed. I mean literally destroyed; I suffered from the worst pain I have ever felt, in my entire life. It was mostly located in my hips, legs and feet. The pain was constant, excruciating, and never subsided. This time I DID realized that it was caused by Cipro. I also suffered from light sensitivity and total brain fog. This is not something that you would wish upon any one, not even your worst enemy. There is no way to reverse these side effects and doctors simply shrug their shoulders when presented with a floxed patient. Oddly enough, I suffered with this destruction and peripheral neuropathy, right up until I received chemotherapy treatments, after being diagnosed with CML. Oddly enough, there is something in the chemotherapy that can reduce symptoms in RA patients, and now I have experienced the same thing; pain relief. I was ecstatic and figured that this pain relief was the golden lining, in having leukemia. Fast forward two and a half years; the peripheral neuropathy and the light sensitivity have improved drastically, although I cannot say the same thing about the brain fog. All was well until I developed pleural effusion and bronchitis last month; I had to go off of my Sprycel treatment, until my lungs were functioning properly, again. Within ten days of ceasing the Sprycel, the peripheral neuropathy began to return. I started getting extreme pain in the balls of my feet and toes, (my hardest hit area), skin sensitivity and the feeling that my Achilles and other tendons could rupture if I was not careful. I was horrified and angry. It really makes me ponder the correlation between the peripheral neuropathy and the TKI’s, as well as the chemotherapy; AND just how damaging this class of antibiotics, really are. Moral to the story; I am actually blessed to have CML because living with that sort of pain is truly unbearable. It literally made me wish I would die; I would rather have cancer than the pain associated with the damage from those drugs. How sad it that? In my opinion, unless it is an absolute, last resort, life or death situation, the floroquiolone, antibiotics Cipro, Levaquinn and Avelox, should be avoided like the plague!